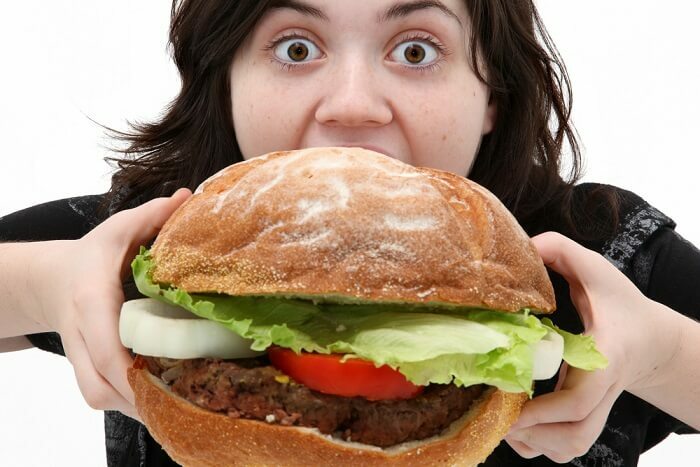 In the age of having fusion food on your plate, it is very likely to look forward to something new and yet tasty enough to satiate the momentary hunger pangs that we call ‘cravings’. While a dash of lemon and a chilly or two makes a huge difference to the taste palettes, you can always opt for a giant portion just to taste more of the same. After all, what are foodies made of, if not food? Well, the world’s biggest food is what you’ve been waiting for if you’re the kind of person who wishes to try something extraordinary and taking it to the next level. Be it the streets of Italy with a tinge of cheese and marinara lingering in the air or the fresh steak fragrance calling you from far away from US, there’s something stored in every country that you ought to try! Even for all pizza lovers, the giant sized Carnivore pizza at Big Pie In The Sky Pizzeria in Georgia is too much to have in one go. Take it as a challenge or simply indulge in an extraordinary experience with your friends and family to dig into one of the biggest pizzas ever made available for consumption. 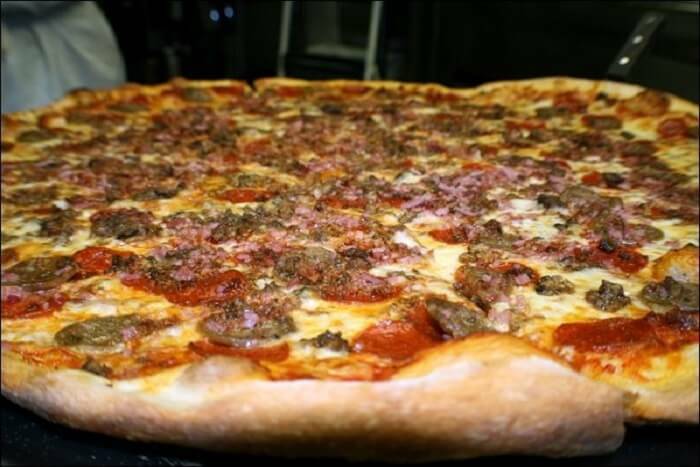 The 30 inch pizza weighing 11 pounds in total has enough fat content to make you drool over the looks and taste of it but will you dare to finish it on your own? Italian flavours in one of the best dishes, pasta is what has been experimented with the most throughout other places. Pasta has got all the flavours of the world, with multiple variants, especially even the spicy Indian one. But how about trying one in the US state of Missouri? There’s a carb delight that will help you feel full for at least a week. With spaghetti blended with marinara and a meatball the size of a bowling ball, it is time to test your stomach’s stretching capacity! 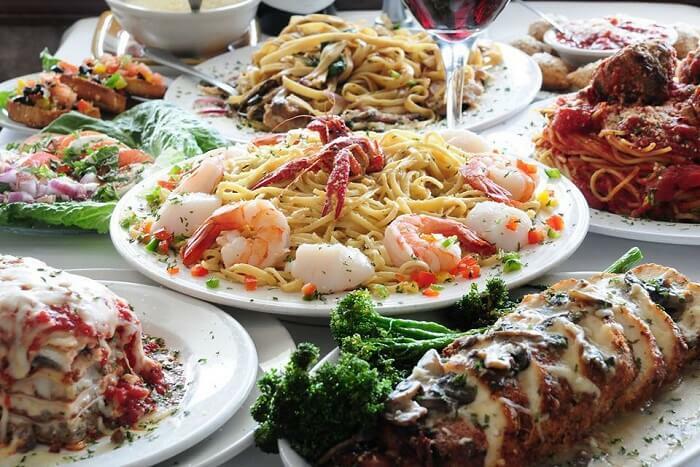 Win this and you get a free t-shirt to soak all your carbs for the rest of the week. Salsa, lettuce and a goodness of beans, meat and rice- all in one perfectly setting combo enveloped in your favourite tortillas to make a burrito you’ll remember for life! With an insane flavour of cheese and sour cream melting in your mouth, the taste couldn’t get any better. 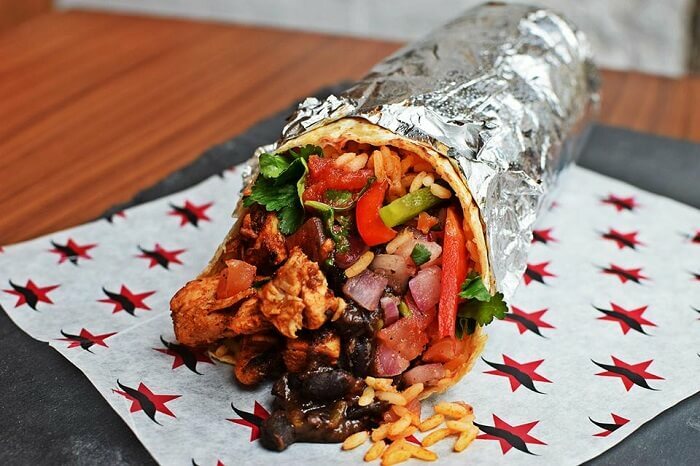 Finish it in 10 minutes to win a t-shirt, a free meal and your name carved on their wall of fame at the Zapatista restaurant in Newcastle or take your time to enjoy the meal with your folks! You’d wish your food come in all sizes, especially when you see this one right in front of your served in every bit of your 3 days’ appetite. That’s right! 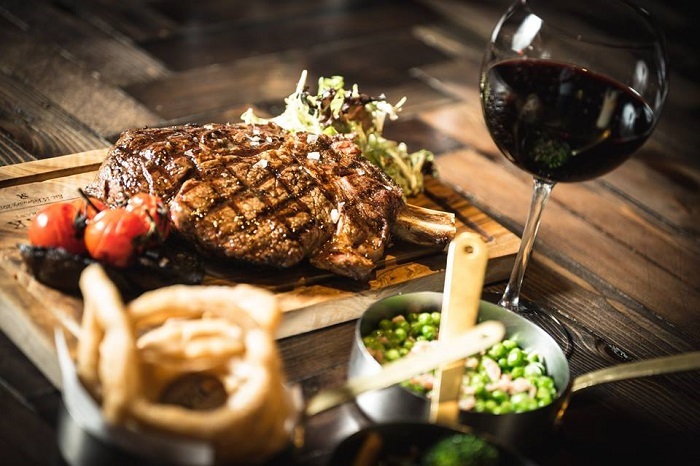 A 92oz of steak served delicately alongside the best side orders, the Steak restaurant in Edinburgh ensure you don’t get hungry for a long time. Besides, who wouldn’t like a challenge? If you’re able to finish this giant sized meal in one hour, you get a free t-shirt, a free meal and your name goes up shining bright on their wall of fame! Sounds fun, doesn’t it? Imagine a giant sized mountain like structure made of just ice cream and added wholesomeness of whipped cream and nuts? If you cannot, then head straight to It’s All So Yummy Cafe In Tennessee and you’ll have more than a sight to behold. With 3 bananas, 3 big brownies, marshmallows, chocolate sauce, orange candies, sugar cones and to top this all 16 scoops of ice cream in one tub, who needs anything else to satiate their sweet tooth? 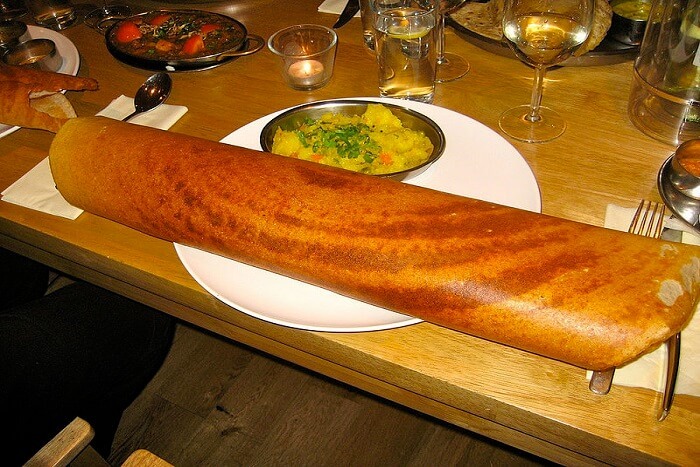 When it comes to try Indian flavours, a dosa gives you plenty of space to be tried with many dips and curries. Be it the orange garlic dip or the flavourful green chutney or the favourite coconut chutney along with some tangy sambar to go with, it just keeps getting better for every kind of foodie out there. 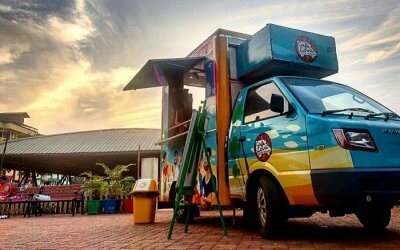 So, while you’re at this thought of grabbing a dosa right now, don’t miss out on a 4 foot long dosa served in one of the most famous joints, RK Dosa Camp in Bangalore! 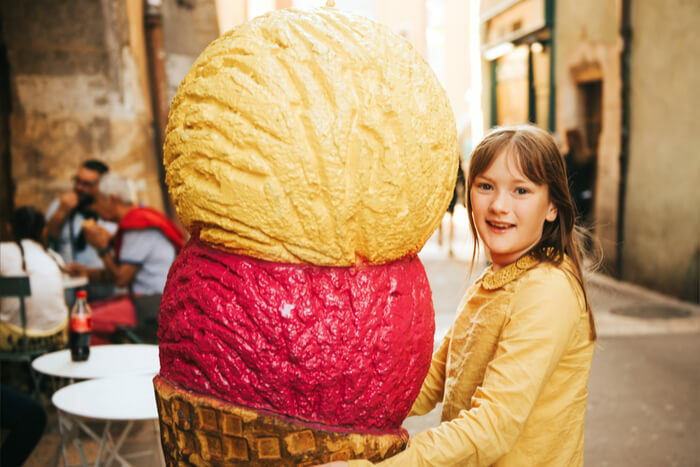 If you’re as much a foodie as you think you are and travel is all you can think of, just to try the biggest dishes around the world, then how about an international vacation to any of the places mentioned above? Make sure you keep minimal clothing as you might just win all the food challenges at these places and end up getting free t-shirts too! Happy Foodie Travel, y’all!